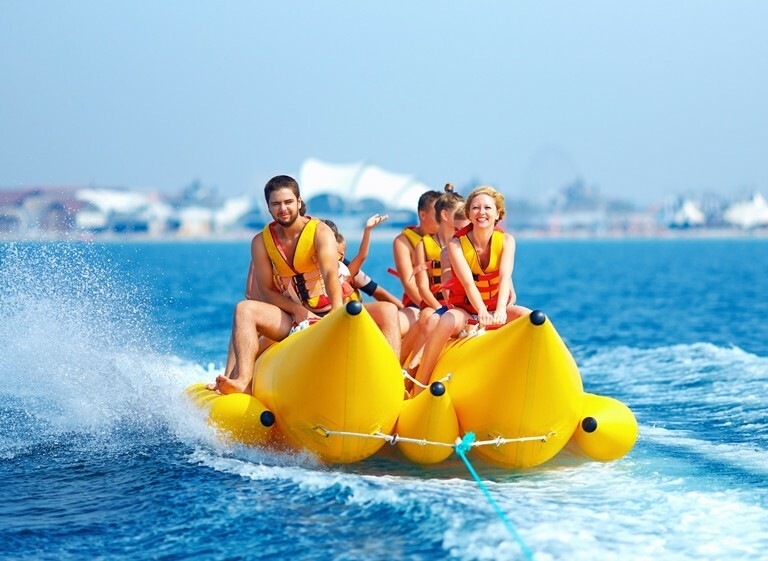 20 minutes on the banana boat going around the bay for a fun and unforgettable experience! Must be 10 or older with parental consent, 18 or older without consent. 100 lb minimum and 300 lb. weight max. Not suitable for pregnant women or people with heart or back problems.